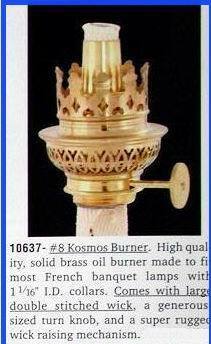 Highest quality solid brass burners, heat resistant hand made chimneys, superb wicks and solid brass collars and shade holders. 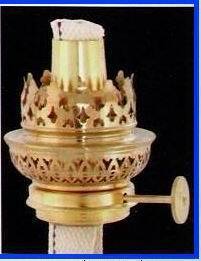 These are imported from Europe. 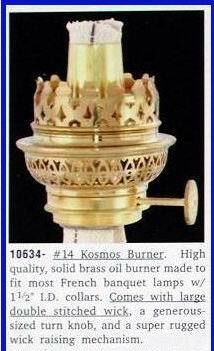 The Kosmos burner is the burner of choice for most lamps made in France, Belgium, Sweden, Germany, Norway and Denmark and were made by many metal working companies (in German, the word for burner is brenner). 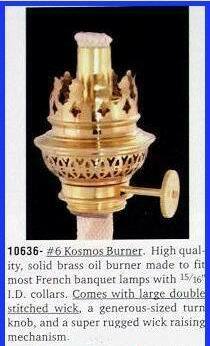 Many Europeans still light their Kosmos lamps daily because of the high cost of electricity, so these parts are the "real" thing - not just items of beauty, but of practical use. 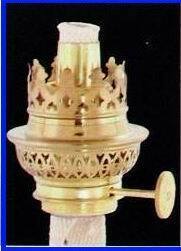 When selecting the correct parts for your lamp it is important to perform careful measurements; this will avoid paying for the shipping of items that do not properly fit you lamp. 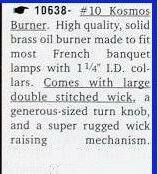 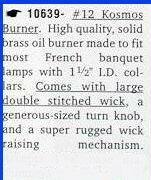 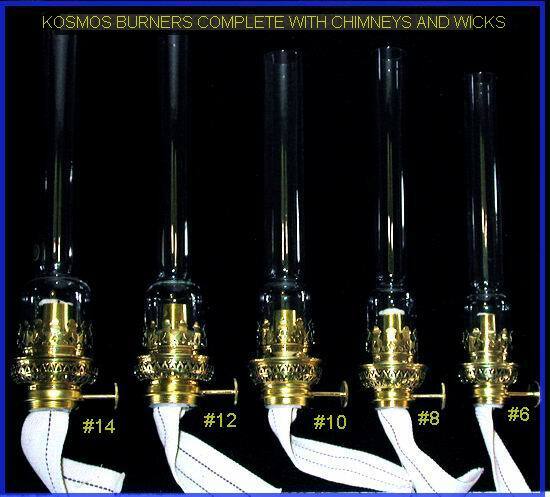 Click here for a helpful table of dimensions for Kosmos burners, collars, chimneys and wicks.